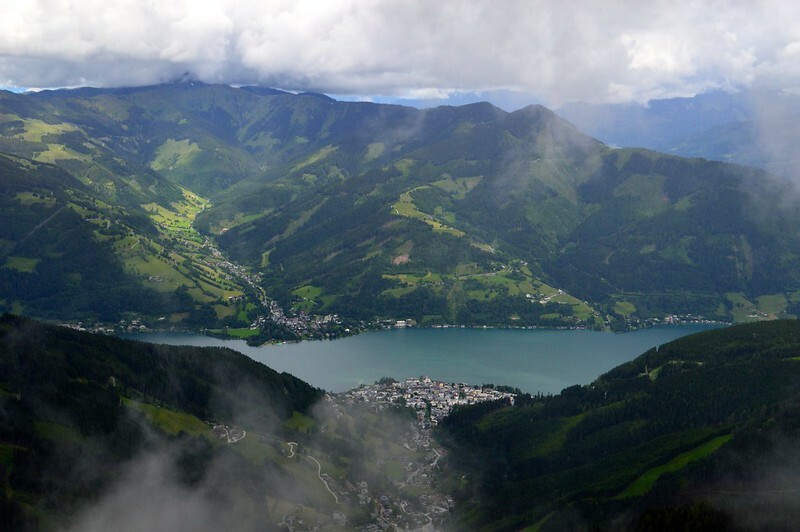 I was recently reminiscing about my summer holiday in Austria earlier this year, scrolling through the photos of some of the wonderful places I visited in and around the Zell am See area. I realised I hadn't shared photos of two of the most beautiful places I was lucky enough to visit with my partner back in June. First up is the impressive Sigmund Thun Klamm Wasserfall. Around 14,000 years ago, during the late ice age, a glacier completely covered the valley of Kaprun. When the glacier melted, it left behind a gorge where the river Ache now runs. 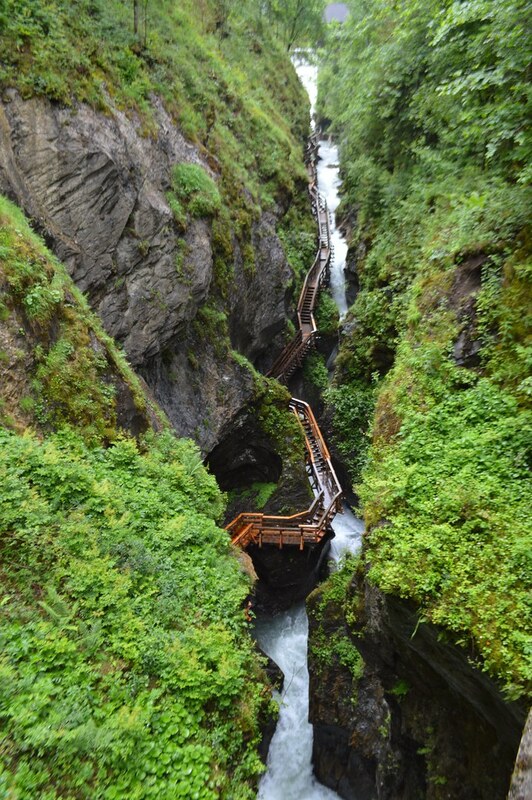 Visitors can walk along the gorge on a series of bridges and wooden stairways. 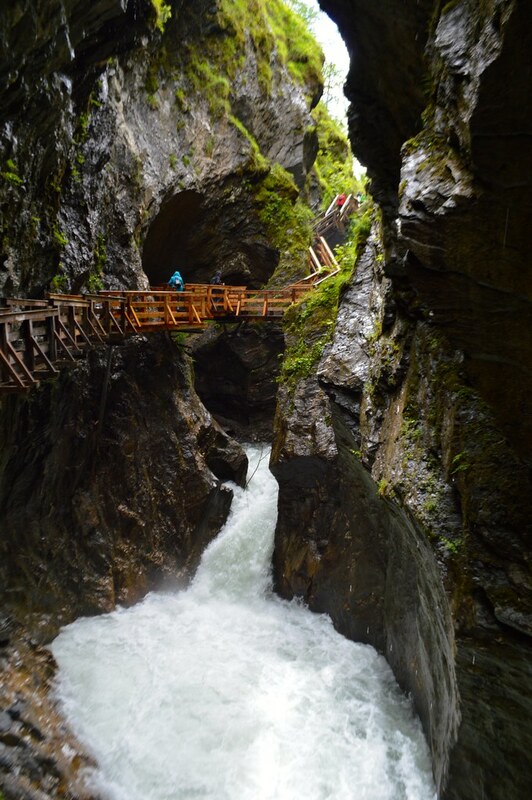 The Kapruner Ache river has managed to cut 32 meters deep into the rock through the Sigmund-Thun-Klamm, creating strikingly smooth stretches of rock, basins and whirlpools. I was worried it would be a little slippery and a struggle to climb up all the steps but I would say this attraction is suitable for people of all ages and the stairs aren't steep at all. I do recommend a good pair of boots and a waterproof coat because as you can imagine, this place gets a little wet. 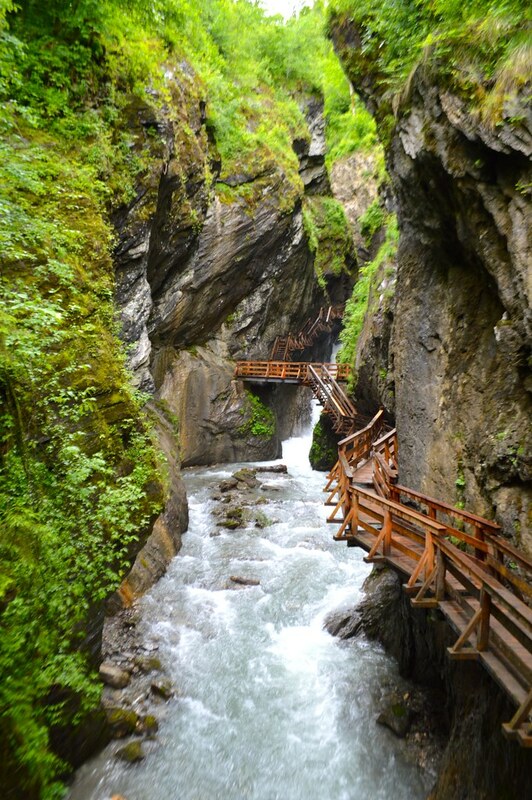 It was a truly breathtaking place to visit and reminded me of the nearby Krimml Waterfalls. This place was free for me to visit as it is included on the list of attractions on the Salzburgerland Card. It's a pretty handy card to have because you get free admission to 190 sights and attractions throughout SalzburgerLand for one flat fee. It's perfect if you are in the area for around a week. Another natural wonder is the Schmittenhöhe mountain, it comes in at 1,965 metres high on the eastern edge of the Kitzbühel Alps. 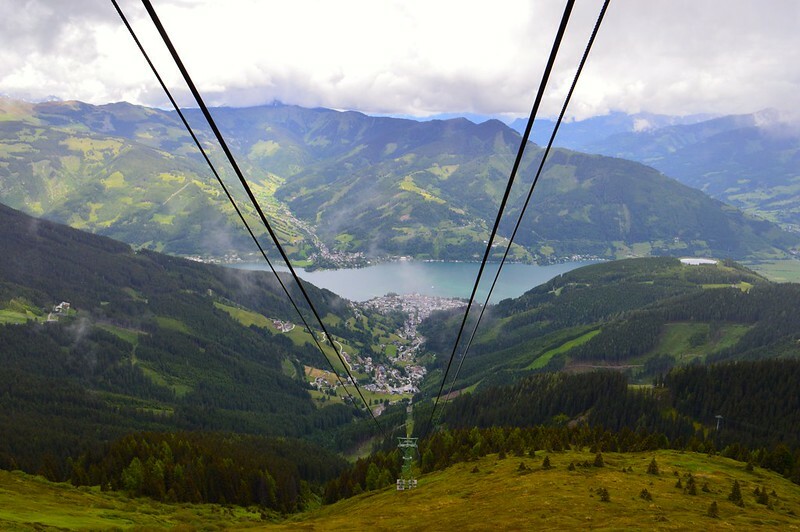 It is situated above the town of Zell am See, from where a cable runs to the summit. 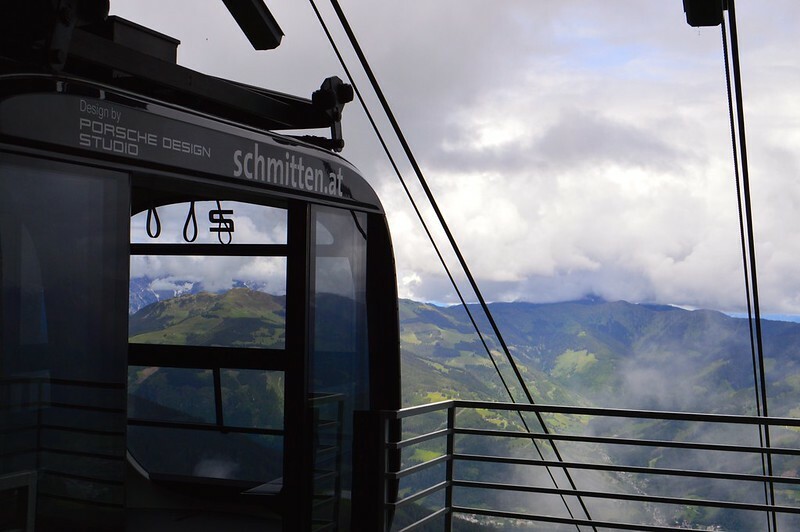 The cable car system has been renovated several times since and now has fancy cable cars designed by the Porsche company who have links with the area (I visited their family castle by lake Zell). From the summit of the Schmittenhöhe you can find an impressive view of over 30 three-thousanders as well as the lake and Saalach valley. Martyn and I always tend to be a bit unlucky with the weather when we want to go up in a cable car, we rarely get clear views. We hadn't planned to visit the Schmittenhöhe at this particular time but we saw that the clouds were clearing and headed straight to the base so we could make our ascent. As the clouds parted we were treated to some glorious views at the top, perfect timing! Unless you fancy a full day of hiking I recommend visiting after 2.30pm in the summer as you can save around €7 on your cable car trip by going up a little later in the day. You can read all my other posts about my trip to Austria including excursions to Salzburg and Innsbruck here and i've got a few posts coming up on the blog shortly about my three day trip to Berlin. Such an incredibly stunning place! Austria is one of the places I'd really love to visit, one day. Beautiful photos. The views look amazing. I would love to visit.